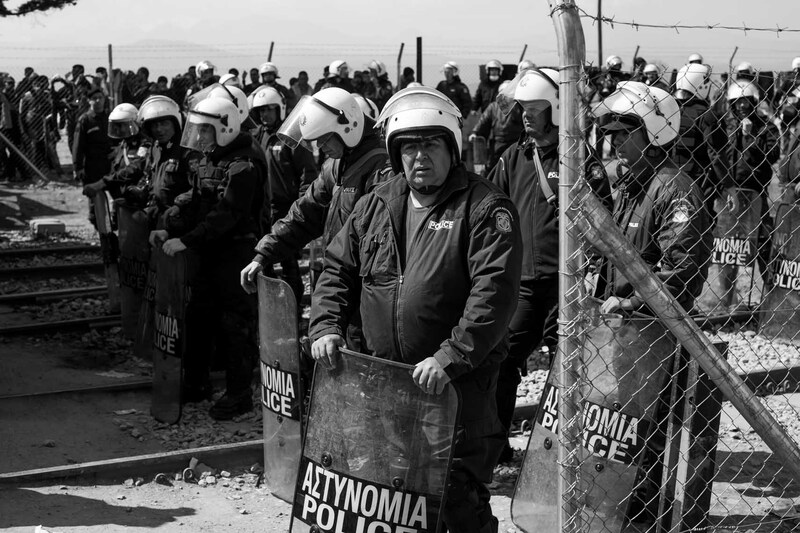 March 2016 - Greek police in riot gear guarding the border fence. They seem as stuck in the middle of this situation as the refugees. They don't want to be there either. The ones I spoke to were all very nice and sympathetic towards the people stranded there.